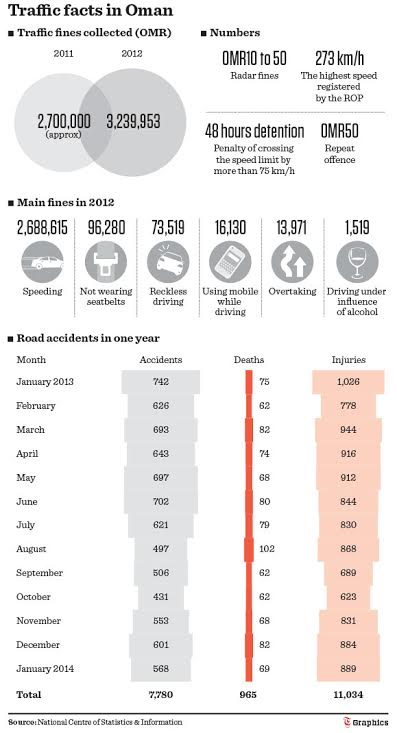 Heftier Fines To Boost Safety on Oman Roads. « Being The Safe Driver! Behind The Wheel! By Fahad Al Mukrashi – Times of Oman – March 19, 2014. REPRODUCED ARTICLE – TIMES OF OMAN! 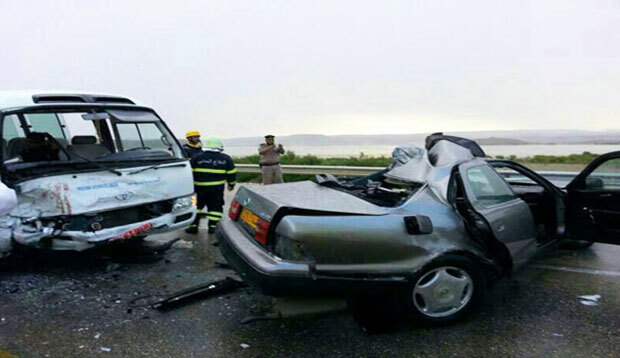 Muscat: Traffic fines are to be increased as the Royal Oman Police (ROP) attempts to put the brakes on the number of serious injuries and deaths on Oman’s roads. A source told Times of Oman that amendments to the traffic law have been approved by the Council of Ministers. The source explained that the amendments to the traffic law were aimed at enhancing road safety in the country. The source added that new traffic law is awaiting a review by Oman’s Council. 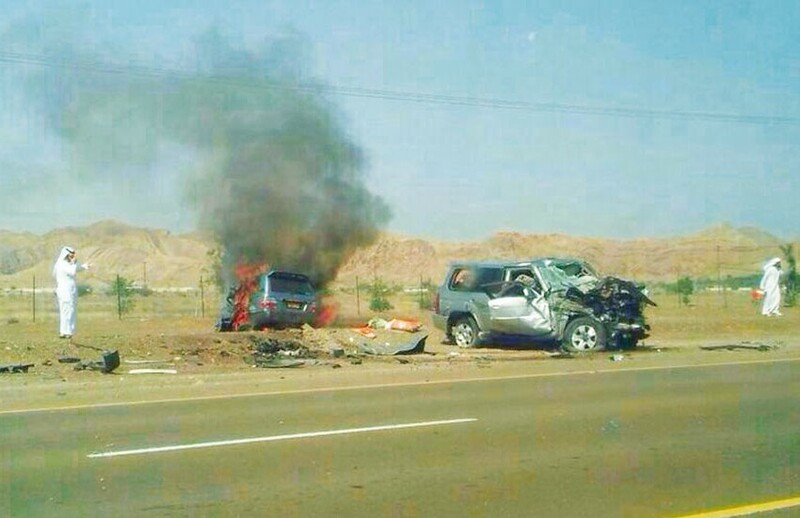 Authorities hope that the amendments to the new traffic law would help curb the number of road accidents in Oman. Talking about fines, the source said there has been an increase in the amount collected as traffic fines in 2013, compared to 2012. According to the ROP figures, the number of traffic fines registered in 2012 was 3,239,953. The number of traffic fines in 2011 was approximately 2,700,000. The maximum amount collected was for speeding, followed by fines for not wearing seat-belts, reckless driving, using cellphones while driving, wrong overtaking and, finally, driving under the influence of alcohol. The source said that traffic fines go to the state’s treasury, and not, as many believe, to the ROP. 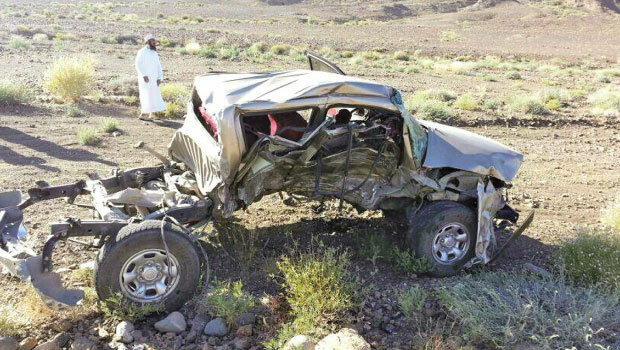 Meanwhile, Sultan Al Abri, a member of Majlis Al Shura, said this would not help in reducing accidents in Oman. Al Abri said that instead of increasing the fines, the authorities concerned should first improve the condition of many roads nationwide to ensure best safety standards. 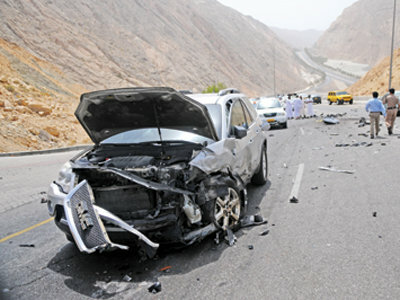 However, Ahmed Al Khanji, a member of the board of directors, the National Committee for Road Safety, told Times of Oman that increasing traffic fines is the best solution to curb road accidents in Oman. Al Khanji explained that many countries have increased traffic fines, which has led to a remarkable decline in the number of road accidents. “Some of the traffic fines amount to equivalent of OMR500 in some of these countries and this is something that makes drivers to be more careful on the road,” he noted, while adding, “The law does not differentiate between the poor and the rich. The Legal Committee of Majlis Al Shura also discussed on Tuesday an amendment to Article 23 of the Oman Traffic Law, which deals with the procedures of obtaining driving licences, Said Ghanim Al Muqbali, the head of the committee, told Times of Oman. The minimum age for applying for a driving licence in Oman was raised to 18 in 2013, which was 16 earlier. Meanwhile, in order to curb the menace of heavy trucks often involved in road accidents, the ROP is planning to ask private sector companies owning heavy trucks to install tracking devices to monitor the on-road behaviour of their drivers. The ROP will also be soon using mobile weighing devices to ascertain the load being carried by trucks in order to seize any vehicles found violating the rules. Overloaded trucks have been found to be one of the main causes for traffic bottlenecks as they hamper smooth movement of traffic. Besides, the ROP will intensify patrolling to check heavy trucks violating peak timing rules. According to statistics, road accidents involving heavy trucks in Oman have claimed 45 lives and left 456 injured in 616 accidents in 2013, compared to 44 deaths and 533 injuries in 2012.